Finally the time of the year is back when people get to be cozy with their favourite sweaters. And am truly blessed that i got to startup with my lovvy dovvy new sweater(so cheesy) which i recently purchased from the mango on their midnight sale. 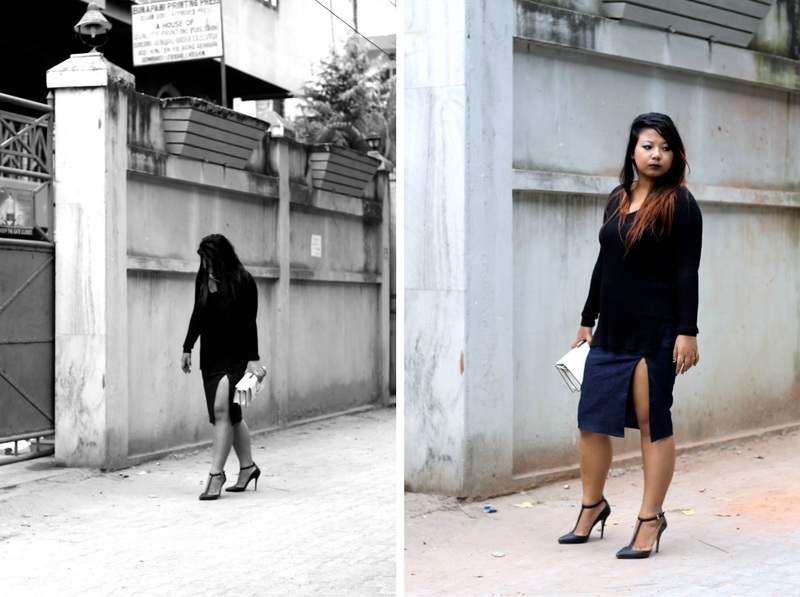 Did you noticed that am still including the slit trend in this fall look as well..so obsessed. I believe there is no easier way to express yourself than through the clothes you wear. Double slit is so totally my kinda game. 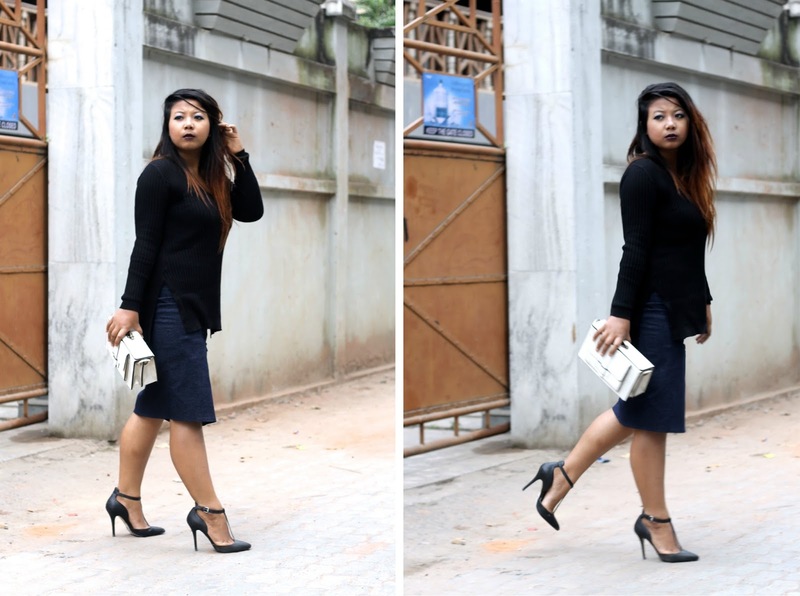 So without much effort i teamed it up with my slit skirt which gave it so much compliment to my sweater as well it gives so much of put together vibe to my whole look. A question to all my viewers that am i the only one wearing animal print skirts? Well than its an dark colour baby ah hope you don't mind the windbag interrogation. So i hope you like this look and get inspired. By the way whats your plan for this week, about me well am pretty excited to share my next post with you all. Love your elegant classy chic look! I'm so in love with the clutch and this skirt looks gorgeous on you! You look so pretty in that skirt! Lovely outfit. Check out our blog for a chance to win 3 pairs of sunglasses.